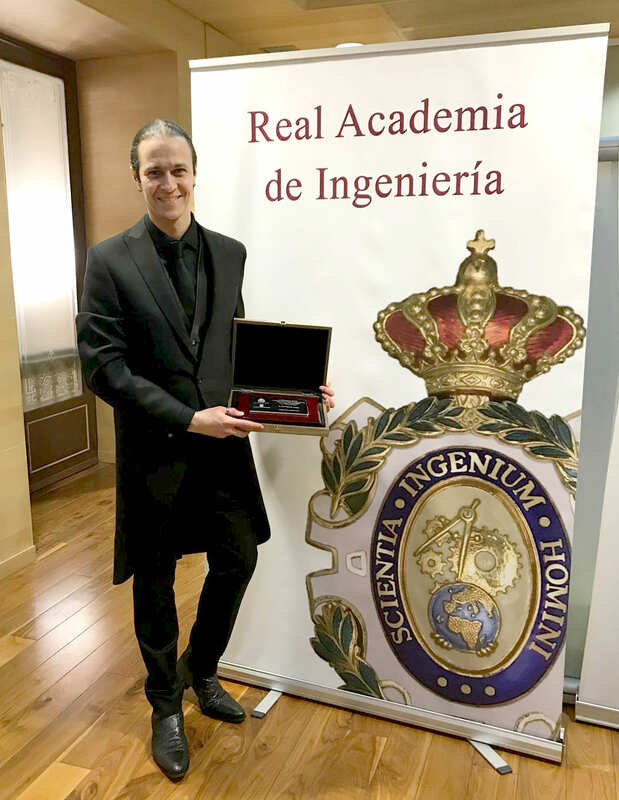 The Spanish Royal Academy of Engineering presented the “Agustín de Betancourt” and “Juan López de Peñalver” Prizes to Young Researchers on the 20th November 2018. These awards grant the most outstanding engineers under 40 in Spain. David Gascón, CTO and co-founder of Libelium, has been awarded with the “Juan López de Peñalver” Prize to the scientific and technical contributions and their impact in the society. Gascón has been leading the Libelium R&D projects from its establishment in 2006, being considered one of the pioneers in the Internet of Things revolution. “The IoT connects the real world -the one we touch, smell and feel- with the Internet thanks to thousands of smart sensors digitizing the information and sending it in real-time to the web”, states Gascón. More information about David Gascón, Libelium CTO, in this link.